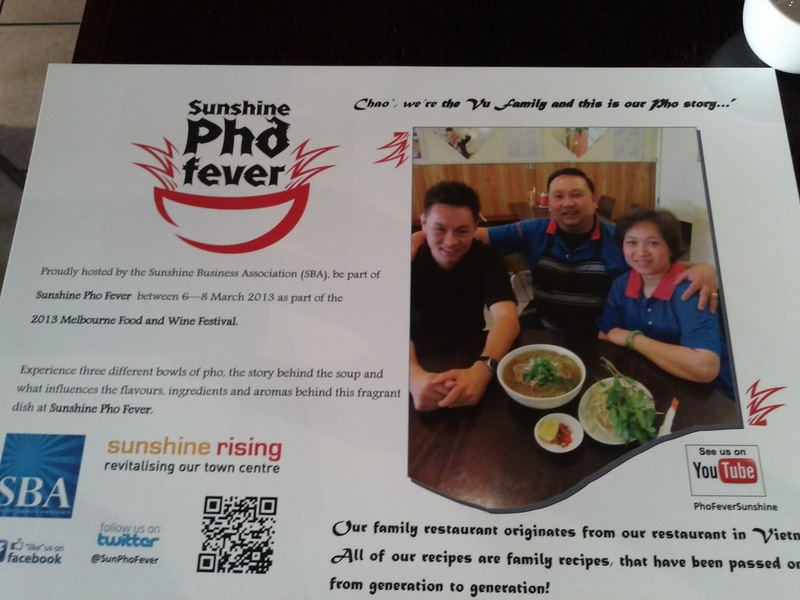 After taking part in last years Food Festival in Footscray by helping out towing a Rickshaw, this year we headed to Sunshine to to take part in Sunshine Pho Fever! 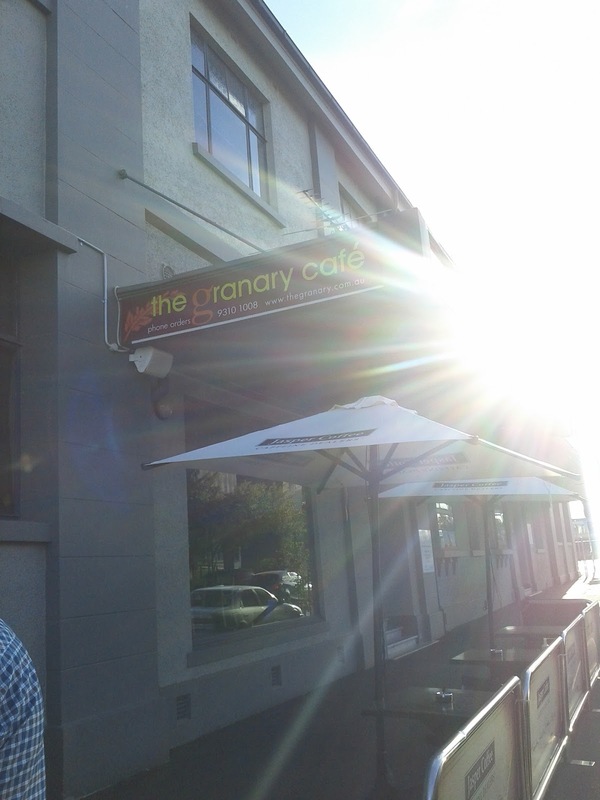 The event began at the Granary cafe where we had a soft drink in the courtyard. Here some of hosts and organisers introduced us to the event from Brimbank Council and , which was new this year, we were divided up into two groups for the evening, we didn't see the other group again, so I'm not sire if they went tot eh same restaurants in a different order, or to a different group. Our first stop was at the interestingly named Queen's Rose The Sun, which had the highest kitsch factor of the night, with several flashing LED signs. We were seated fairly tightly together at a long table. At each stop there was a place mat specific to the restaurant with some information about it and pictures of the owners or chef. 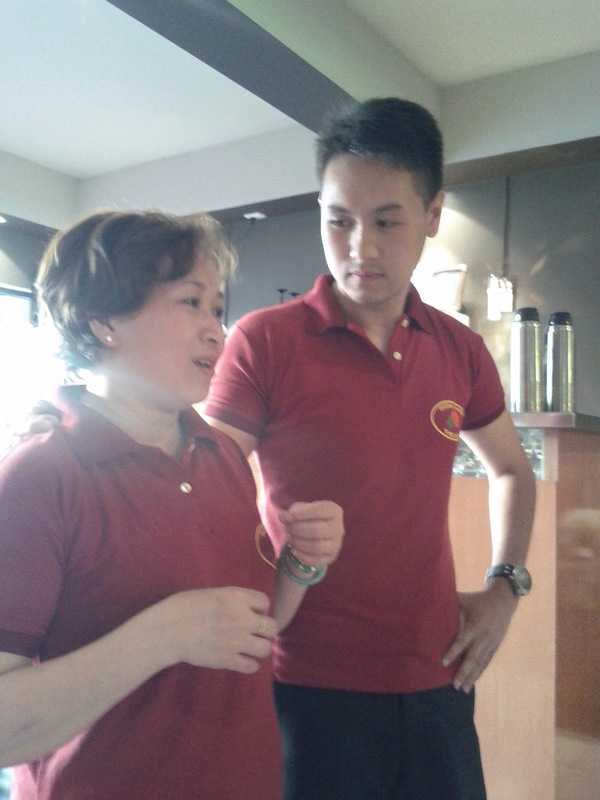 The owner spoke to us in Vietnamese and her son translated, although in this case it was a fairly brief talk. We had a choice of beef or chicken at each stop, I went for chicken on this occasion and this and our end seats meant we got a our slightly smaller custom event bowls more quickly. The broth was nicely flavour and came with chicken that had been sliced on the bone, which meant a slightly inelegant eating process ensued. Unusually the rice noodles were broken into short lengths. With our mains we were also offered an entrée in this case we got some great fresh and crispy pork spring rolls! 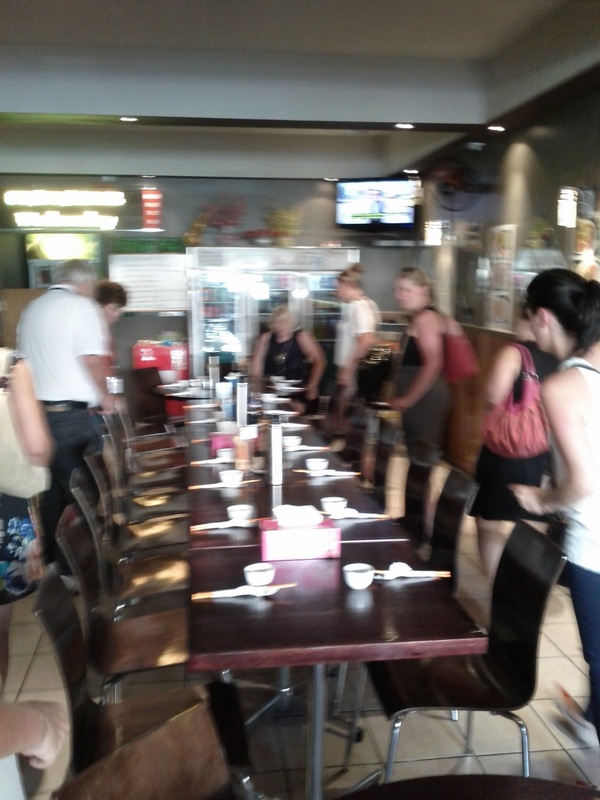 Some of the other dinners waited quite a while for their beef pho, but other than that the service was good, given a sudden if planned influx of guests. I'd happily return for pho on another occasion.